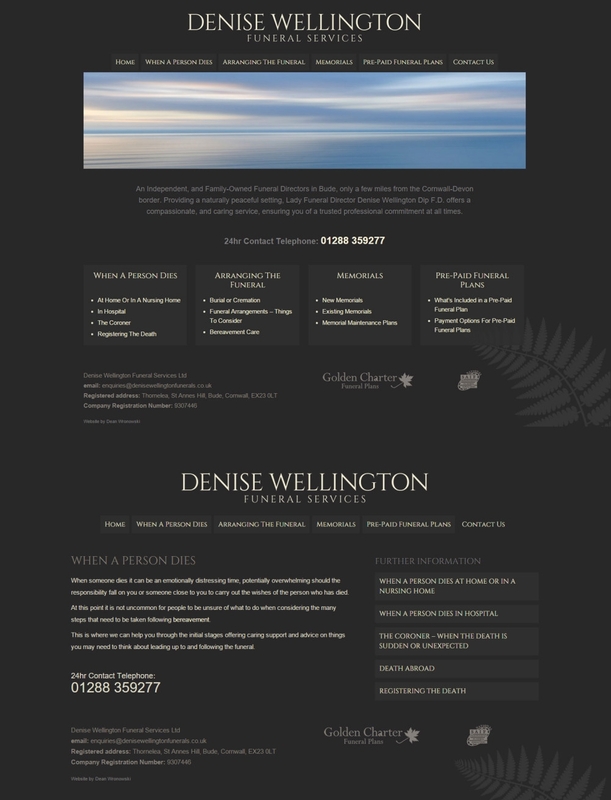 A new website for Denise Wellington Funeral Services, Bude Based Funeral Directors. The new website has a fresh and modern design which reflects the professionalism and dignity of the service that Denise and Darly offers. The site is an extremely user-friendly, WordPress-powered, fully responsive website, for anyone organising a funeral in and around the Bude, Cornwall areas. For all things web design cornwall, I’m ready to start work. Drop me a line to start discussing.